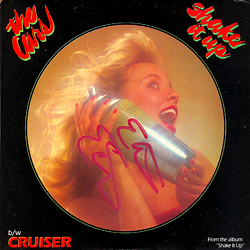 Description: The Cars Shake It Up 45 Picture Sleeve. 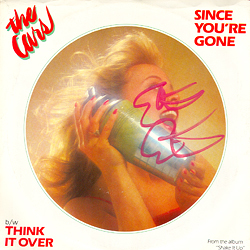 Signed by Elliot Easton in red paint pen. Note: Item signed at the 1991 Dallas Guitar Show at the Dallas Convention Center in Dallas, TX. 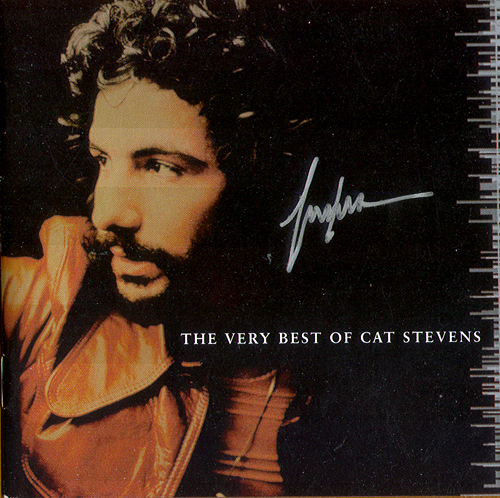 Description: The Very Best Of Cat Stevens CD Cover. Signed by Yusuf Islam, AKA Cat Stevens in silver sharpie pen. CD Not Included! Note: Item signed while promoting his latest CD release at the Sony Records office in Irving Texas. 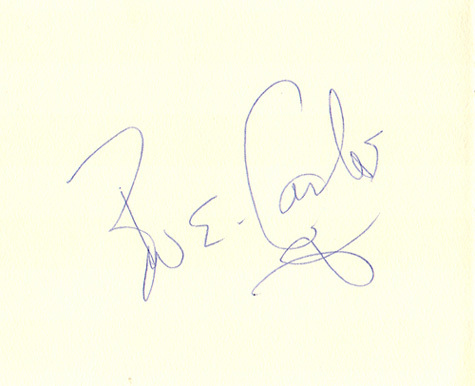 Description: 5x6 Autograph Paper signed by Bun E. Carlos in blue ball point pen. Note: Item signed while on their 1995 US tour at the Starplex Amphitheater in Dallas, TX. 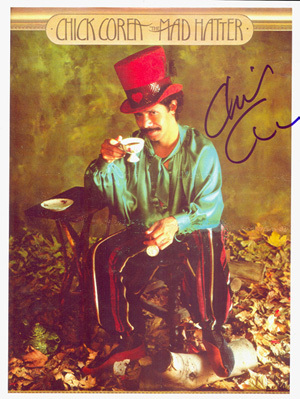 Description: 8x10 Color Promo Photo signed by Chick Corea in blue sharpie pen. Note: Item signed at La Zona Rosa while on his 1998 US tour in Austin Texas. 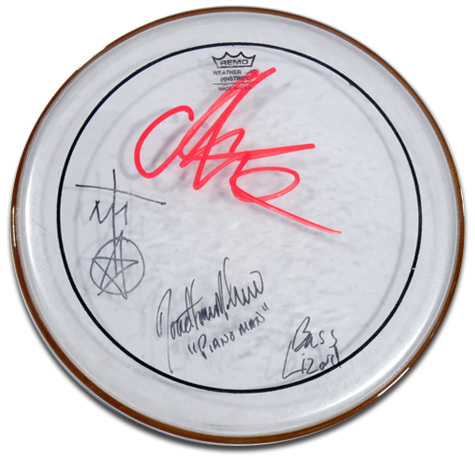 Description: 14" Remo Drum Head Signed by Chris Connelly and his 1995 Tour Band. Signed in red paint pen and black sharpie pen. Note: Item signed by the bus outside of Trees in Dallas, TX while on his 1995 US Tour. Description: Marie Claire Magazine signed by Christina Aguilera in blue sharpie pen. Note: Item signed while on her US tour at Hotel Zsa Zsa lobby in Dallas, TX.